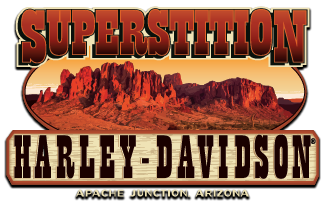 Superstition Harley-Davidson is Apache Junction Arizona’s Rider Owned and Operated Harley-Davidson® Dealership. 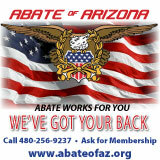 Come experience our state-of-the-art 50,000 square foot Phoenix area Harley-Davidson® Dealership. We showcase a huge selection of New Harley-Davidson® motorcycles, Pre-owned Harleys and the Parts and Accessories to go with them. Our Motor Parts specialists have all the accessories you need to create the bike of your dreams. Visit our large Motorclothes® Department for the latest in Harley-Davidson riding apparel and fashion. The latest Service technology and the Harley-Davidson® Certified Technicians in our Service Department will keep your bike looking and running its best. 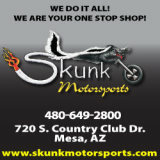 We offer 7 day a week dyno tuning. 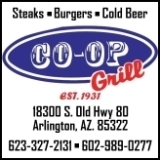 We invite you to check out our web site or stop in to browse our New bike Showroom, shop for Harley-Davidson MotorClothes® gifts and collectibles, parts, accessories and Superstition Harley-Davidson t-shirts. We ARE Worth The Ride!